ID: 308 ~ Source: Image courtesy of the Scottsdale Historical Society. 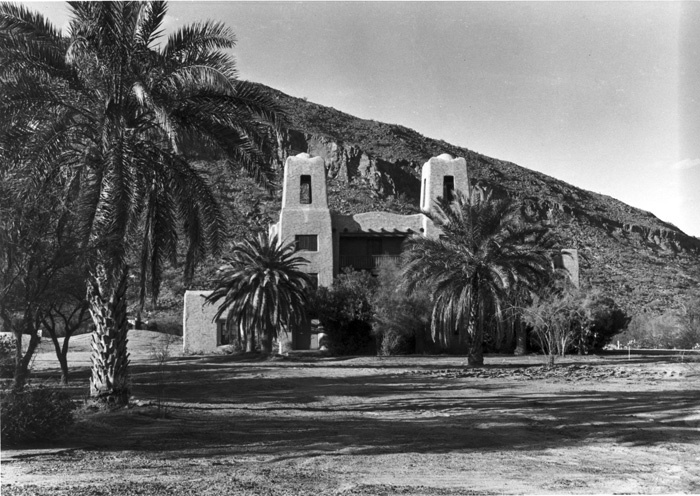 Note the architectural similarities between the Jokake Inn and the Old Adobe Mission Church. Jokake Inn owner Robert Evans drew up the architectural designs for the church and contributed equipment and tools to the construction effort.